US police fatally shot a black man as he “was trying to get away”, newly released footage allegedly shows. Officers in Utah have been cleared over the death, with Salt Lake City prosecutors saying they were justified in the killing because Patrick Harmon had a knife and they feared for their lives. But the video has sparked accusations of a “flat-out murder” after the 50-year-old was pulled over for riding a bicycle without a light on 13 August. The body-camera footage, which was handed to local media, shows officer Clinton Fox shouting “I’ll f***ing shoot you” before firing three shots into Mr Harmon, who appeared to be running in the opposite direction. Another officer said he fired his Taser at Mr Harmon, who slumped to the ground and was handcuffed while groaning in pain. Salt Lake City officials say Mr Harmon broke away from the police officers, who were preparing to arrest him after it emerged he had an outstanding warrants, including one for aggravated assault. As he ran, it is alleged he said “I’ll cut you” before turning to face the officers holding a knife, at which point he was shot by Mr Fox. 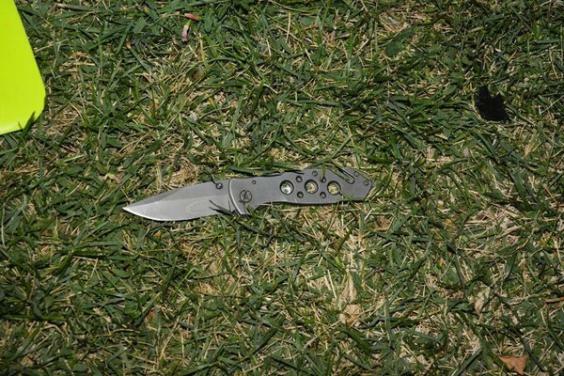 Investigators later found a knife at the scene. The video does not pick up Mr Harmon making the alleged threat. Mr Fox told investigators he felt “terrified by how close Mr Harmon was to the officers” and it was the “scariest situation he had ever been in”. Although being given first aid at the scene by police, who could be heard on body-cam footage saying “Patrick, stay with us”, Mr Harmon was pronounced dead at hospital soon after. In 2016 a supreme court in Massachusetts ruled black men running from police have a legitimate reason to do so, citing a report which found they were disproportionately likely to be stopped by officers in Boston. A study also found unarmed black people in the US were more than twice as likely as unarmed white people to be shot dead by police.